 The Community Innovation Fund is funding social initiatives aimed at improving employability or securing basic socioeconomic security for vulnerable youth, seniors/caregivers and newcomers in Quebec’s English-language communities. The Community Innovation Fund (CIF) is helping Quebec’s English-speaking communities put social innovation in action by supporting 10 innovative projects that address the needs and priorities of vulnerable English-speaking youth, seniors and newcomers. Funded by the Government of Canada’s Social Development Partnerships Program – Children and Families Component, and managed by the Quebec Community Groups Network, the fund is investing more than $1 million in social initiatives while building partnerships to increase funds that are injected into our communities. In collaboration with the Lower North Shore Research Centre’s Innovative Business Incubation & Acceleration Centre and the Université du Québec à Trois Rivières, this project encourages vulnerable youth to remain in Quebec’s Lower North Shore region by providing them with specialized job opportunities. The project also helps encourage young people with post-secondary educations to return to the region, by reinvigorating the local economy and supporting research and development. In a community that is heavily dependent on fishing and the sea, this project implements a hands-on learning program that motivates vulnerable youth to complete high school. This provides necessary skills to enhance their job prospects and deepens their engagement in community life. It also engages local skilled workers to mentor local youth, in small teams or one-on-one. In this way, participants acquire the practical skills suited to future jobs and opportunities on the Magdalen Islands, rather than the mainland. This project meets the needs of vulnerable English-speaking seniors who require assistance and accompaniment to medical appointments. It trains English-speaking baby boomers and newcomers to act as companions and advocates in the health-case sector. By reaching out to both seniors and newcomers, this project helps the elderly deal positively with the health care system, while simultaneously helping increase employability for newcomers. This project helps minority youth between 16 and 30 learn skills, develop confidence, and get ready to enter the workforce. The organization recently changed its name from the NDG Food Depot. Building from already existing existing kitchen, market, and garden programs, the project implements an adapted leadership and job-skills training program. Participants learn to cultivate productive gardens and run a farmer’s market with the aim of securing sustainable, career-track employment. NDG has one of the highest concentrations of English-speaking seniors in Quebec. An estimated 41 per cent of these seniors live alone, many with children who have left the province. This project helps NDG seniors at risk of early-onset dementia, depression, and other conditions by using a variety of techniques to get them comfortable with using laptops and tablets to communicate with their loved ones and access online services and support. New Hope also provides space for seniors to socialize in person and online, helping them in this way as well to break free from isolation. ‘I AM: Competent’ improves employability and socioeconomic security for vulnerable youth and newcomers. It teaches participants new skills and provides internships in a professional kitchen environment within a French immersion/English context. Targeting youth 16 and over, this project aims to improve the French-language abilities of high school students while guiding them in establishing a career path through skills training and post-secondary diplomas. It provides support to those entering the workforce and is establishing a network of local businesses willing to provide training and jobs to local youth. Young people in the Montreal neighbourhood of Little Burgundy face systemic challenges in their quest for employment and entrepreneurial success. To address this, DESTA’s holistic project integrates an individualized training program for participants. This program is specifically designed to nurture and advance both employment and entrepreneurial elements. The project features an on-site business centre. The goal of this project is to integrate and retain English-speaking newcomers by helping them to integrate into the Quebec economy. It includes targeted employment services and programming – workshops, mentorships, one-on-one support, peer-to-peer support and networking events. The project is aimed at strengthening the social networks of new arrivals seeking stable and meaningful employment. There exist many resources for groups interested in creating a social enterprise. Social enterprise offers a range of possibilities for combining for-profit and non-profit goals, as well as the possibility of pursuing philanthropic ends without relying on the traditional means of financing charitable ventures: government grants and private donations. Social financing, cooperatives, social enterprises, collective impact. The field of social economy has many components. A glossary on the subject, including associated websites may be a useful introduction to the subject. The Government of Canada has developed a Social Innovation and Social Finance Strategy for Canada. As part of the process it consulted the English-speaking community of Quebec. The QCGN submitted a written brief and many community members participated in a live online discussion. Most organizations complete annual reports, so why not create the greatest impact for stakeholders with this important document! The Community Innovation Fund held a webinar on this subject for the English-speaking community. It highlighted do’s and don’ts, as well as advice on content, format and design.